No need to search for Insurance office, looking for parking, beating the traffic. Get official quotation online and review at the comfort of your home/office. 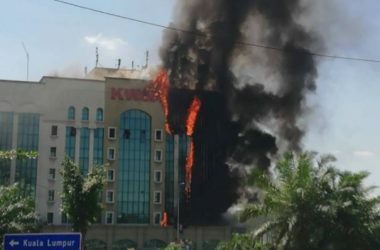 Over 2,000 buildings nationwide at risk of fire! 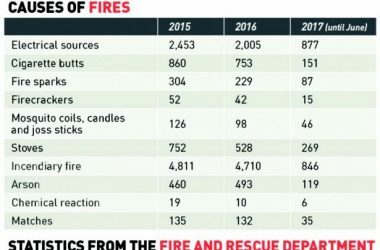 THE Fire and Rescue Services Department has identified over 2,000 buildings nationwide that are at risk of fire. You cannot be "forced" to buy houseowner insurance from your bank! Bank Negera guideline clearly outlines that your bank cannot force you to buy houseowner insurance through them. You are free to consider any insurance company policy that you think best suit you. Get the best quotation from world-class insurance companies. Whether it is a simple Houseowner policy for your precious castle, or a carefully designed Fire Insurance for your commercial building or factory, we can quickly work out the best plan for you. Simply fill up a Request for Quotation Form HERE for a non-obligation proposal. Get your property protected without leaving your home/office. IMPORTANT NOTICE: Bank Negera Malaysia Guidelines (Prohibited Business Conduct) to Financial Service Provider (read Bank): As provided under the Product Transparency and Disclosure Guidelines, while the FSP may provide quotations for the insurance or takaful offered by the FSP’s panel, the financial consumer must be allowed to use the service of non-panel insurers or takaful operators if they choose to do so. For easier understanding of various type of fire insurance, we broadly classified them into residential and commercial fire insurance. Fire Insurance specifically designed for residential (Landed Property) is commonly known as Houseowner policy, which protect your physically property, and Householder policy, which covers the content of your property. 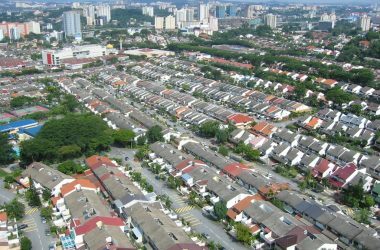 Houseowner policy can only be purchased for landed property and not high-rise building. This is because high-rise building with strata title, like Service Apartment, Condominium, Apartment, commercial building are cover under master fire policy, commonly known as Strata Title Property Fire Insurance. For business/ commercial Fire Insurance, you can purchase the basic Fire Insurance and add-on (extended to cover) specific perils with additional premiums. If you are concern that a fire incident will impact your business operation and leading to loss of profit, you can consider Fire Consequential Loss Insurance, that insured your loss of profit due to a Fire. Select the specific types of Insurance to understand more about their coverage. 1. Why do I need Houseowner and Householder Insurances? These policies cover your house and its contents against losses and/or damage by the insured perils. Basically, proceeds from an insurance claim will help you ease your financial hardships. 2. Do I need to declare the home contents to be covered? Only those items of greater value than 5% of the Total Sum Insured on the household contents (except furniture, pianos, organs, household appliance, radios, television sets, video recorder sets, Hi-Fi equipment and the like). 3. How do I determine the sum insured? You must make sure that your property is insured at the appropriate amount taking into account the renovations made to your property. You must choose to insure your building on the Full Cost of Rebuilding or Reinstatement Value Basis* which includes architects and surveyors fees, cost of removal of debris and meeting any new building regulations or by-laws (like submitting plans for approval). You can insure your home contents on Indemnity Basis** or Reinstatement Value Basis and the sum insured should reflect the choice. * Reinstatement Value Basis – will pay full cost of repairing the damage to property without any deductions being made for wear-and-tear or depreciation. ** Indemnity Basis – will pay the cost of repairing the damage to property with the deduction of wear-and-tear or depreciation. 4. Are my jewellery covered? Yes, they are covered under the Householder Policy, subject to a value not more than 1/3 of the Total Sum Insured on Contents. 5. How much premium should I pay? The insurance premium charged for this policy is in accordance with the Revised Fire Tariff which is regulated by the General Insurance Association of Malaysia (Persatuan Insurans Am Malaysia). 6. How do I make a claim in the event of a loss? Notify the Company immediately and deliver a claim in writing and supply all such detailed particulars and proof within 15 days from the date of loss to the Company. 7. Can I cancel the policy? You may cancel this policy at any time by giving the Company a notice in writing. You shall be entitled to a refund of premium after the Company has charged you based on the customary short-period rates or minimum premium payable under the policy, whichever is higher. Excess means the amount you are to bear for a claim before the Company pays. The amount will be stated on the policy wordings. Protect your valuable asset within 4 steps. First, provide us the necessary information via our online form. You will receive an official quotation. Proceed with the payment and you will receive the cover note. Your property is then protected from the effective date. Important note: Under Bank Negera’s guideline, your bank cannot force you to buy Fire Insurance through them even if you have a loan arrangement with them. Kindly filled up the form below and submit to us. We will work on the proposal and email to you. For commercial Fire Insurance quotation, please email your previous cover note to: Info@fireinsurance.com.my. We will reply to your email. In which year was the insured property built?